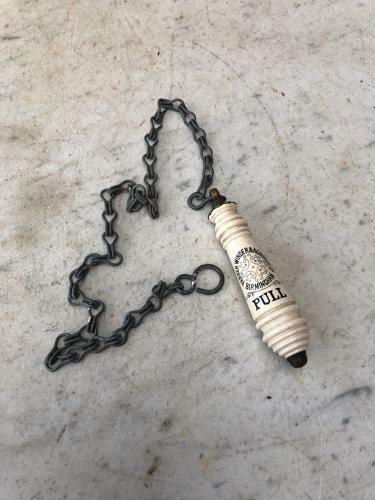 Late Victorian White Ceramic Loo Pull with its Original Chain. Has the makers name on "PARKER WINDER & A.CHURCH LTD. BIRMINGHAM" & "PULL" lovely sun shaped brass top.. The actual height of the loo pull is 13.5cm on the measurements the 77cm is total length including all the chain.